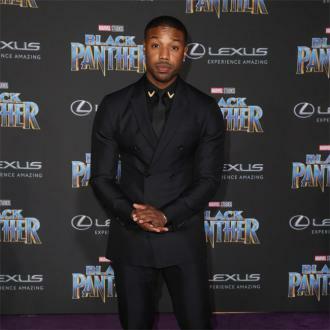 Michael B. Jordan is hoping to move out of his parents' home as soon as possible because he keeps having awkward run ins with his mum in the middle of the night. Michael B. Jordan needs to move out of his parents' house ''immediately'' because they keep catching him walking around in the middle of the night in the buff. The 30-year-old actor lives with his mother and father at their home in California but is desperate to get his own place as soon as possible because he keeps having some awkward run ins with them when he gets up to use the bathroom during the night. However, the 'Black Panther' star's mum will no doubt be devastated when he does move out because he volunteers to do the ironing as he finds it ''therapeutic'' to rid the wrinkles. Jordan is rarely seen in movies with his clothes on and he hopes the hunky roles continue roll in for him because he loves staying in shape and getting paid to do so. And one way he stays in shape is by drinking a gallon of water every day - but the extra fluid wreaks havoc for his bladder. He said: ''Do you know how often you have to use the bathroom when you're drinking a gallon, especially in the middle of the night?